ViTrox was awarded “Supplier Recognition Award” during ASEM Awards 2018 with real-time on-call support, fast on site response, supportive to their customers’ future needs, and continuous improvements in its technology and capabilities to meet ASE’s requirements. ViTrox Wins The Highest Returns To Shareholders Award In The Edge Billion Ringgit Club 2018 with recognition of “Highest Returns to Shareholders Over Three Years” in the technology sector. ViTrox's Managing Director / President & CEO , Mr. Chu Jenn Weng won the Sin Chew Business Excellence Person of The Year 2018 award. 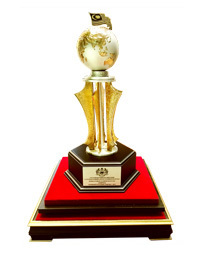 ViTrox was awarded the MATRADE Export Award 2018 (Catergory: Products – Mid-Tier Company). This Award is presented to deserving companies to recognize the contribution by Malaysian exporters to the nation’s export industry. 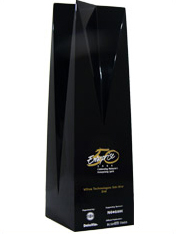 MATRADE Export Award are presented in conjunction with our 25th year anniversary celebration. 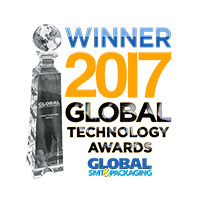 ViTrox Technologies V910i Advanced Robotic Vision System has recently received the 2017 Global Technology Awards in the category of Inspection Equipment – Robotic Handling System during Productronica in Munich, Germany on Tuesday, November 14. ViTrox Technologies has been nominated and awarded with Digital and Technology Business Excellence Award and SCBEA TOP 5 (PAT) Award standing as one of the top 5 participated companies in Sin Chew Business Excellence Awards 2017. 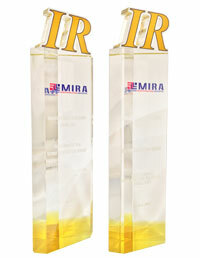 ViTrox was awarded Best Company for IR & Best CEO for IR by 2017 MIRA Investor Relations Awards. The awards are all about recognising the individuals and companies that have shown excellence in implementing the field of investor relations (IR), with over 1,500 asset managers and investment professionals at brokerage firms participating in the poll. 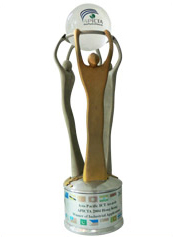 This was the second time that ViTrox has received the award, the previous receiving took place in 2016. ViTrox Technologies recently received a HR Excellence Award (Bronze winner) in the category of “Excellence in Workplace Culture” on 4th October 2017 at Aloft Kuala Lumpur Sentral, Malaysia. 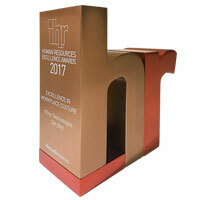 The HR Excellence Awards is one of Asia’s largest award shows dedicated to celebrating the achievements within HR profession. 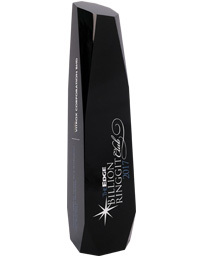 ViTrox won the TheEdge Billion Ringgit 2017 Gold award in the “Highest returns to shareholders over three years” category, for Trading/ Services, Hotels, IPC and Technology sector. 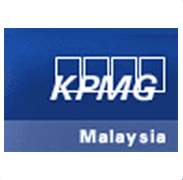 The award recognizes the performance of Malaysia biggest listed companies in terms of highest profit growth, return on equity, and total shareholder returns (capital gains plus yield) over three years. ViTrox was awarded ASE Group 2016 Best Supplier Awards, with over 500 representatives from 115 companies worldwide, whereby twenty suppliers received the awards & ViTrox was one of them. 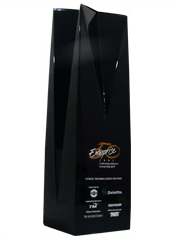 This award is specially organized to recognize and honor suppliers that are integral to the success of ASE. The annual award ceremony was held in Taiwan Kaohsiung. 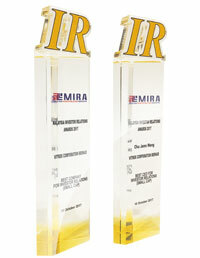 ViTrox was awarded Best Company for IR & Best IR Professional. The 2016 MIRA Investor Relations Awards (Awards) is all about recognising the individuals and companies that have shown excellence in implementing the field of investor relations (IR), with over 1,500 asset managers and investment professionals at brokerage firms participating in the poll. The final results of the survey were based on verified substantial responses to provide validity to the findings as well as to enhance the value to votes from the most influential buy-side and sell-side institutions. ViTrox recently celebrates another breakthrough as the company has been named to ASEAN SME Excellence Awards 2015 under the sub-category of 'Innovation'. 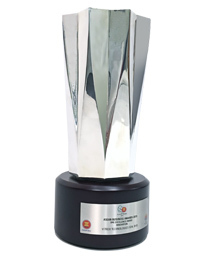 The ASEAN Business Awards Malaysia (ABAM) are presented by ASEAN Business Advisory Council to recognize the outstanding local enterprises and use it as a platform to spread knowledge about the ASEAN Economic Community (AEC) which is something that all Malaysian businessmen should aspire to be a part of. HR Asia is the Asia's largest circulating publication for senior HR professionals which issued by Business Media International. 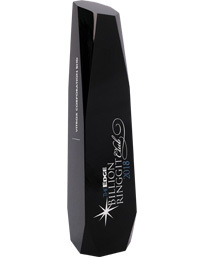 They honors the leading companies to work for in Asia by giving the outstanding HR professionals due recognition for their effort in creating great workplace environments and pushing the boundaries beyond traditional workplace and employee engagement practices. 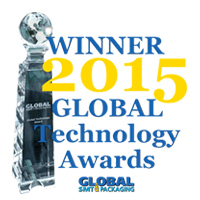 ViTrox Technologies was awarded a 2015 Global Technology Award in the category of Inspection – AXI for its V810 S2EXi In-line 3D Advanced X-Ray Inspection system (AXI). 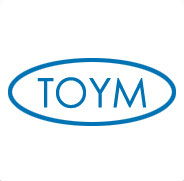 The award was presented to the company during a Tuesday, Nov. 10, 2015 ceremony that took place at the Messe München exhibition center in Munich, Germany during Productronica. 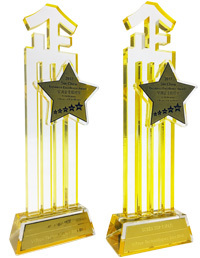 ViTrox recently won the Sin Chew Business Excellence Awards 2015 under the category of Products and Services. 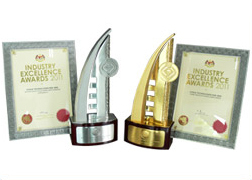 The awards is positioned as one of the most trusted and prestigious business awards program in Malaysia with emphasis on strategic management approaches. 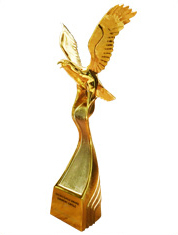 ViTrox was delighted to receive Golden Eagle Award 2015 under the category of Eminent Eagle which organized by Nanyang Siang Pau for the second year in a row. 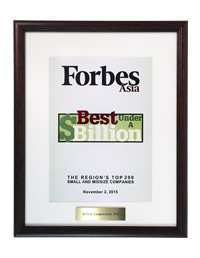 ViTrox has granted the first dual winner of the Forbes Asia's 200 Best Under a Billion List 2015. ViTrox first collected it's accolade in 2011, the award determined by strong earning growth, sales growth and return of equity in the past 12 months and over 3 years among the companies in Asia. 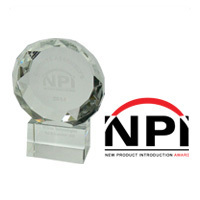 ViTrox has been awarded a 2014 NPI Award in the category of Test & Inspection – AXI for its V810 XXL 3D In-Line Advanced X-ray Inspection System (AXI). 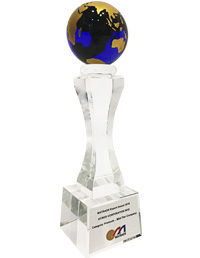 The award was presented to the company during a Tuesday, March 25, 2014 ceremony that took place at the Mandalay Bay Convention Center during the IPC APEX EXPO. 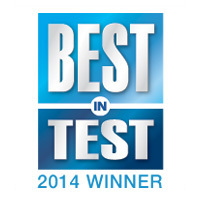 EDN, part of UBM Tech's portfolio of communities for the electronics industry, has honored ViTrox's V810 XXL AXI with a 2014 Best in Test award. 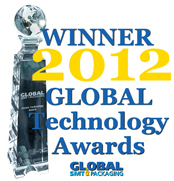 ViTrox was selected for the Machine Vision / Inspection category. 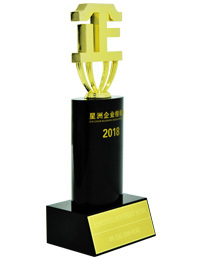 The Best in Test Product Awards are one of the most prestigious award in the Electronics Assembly industry. V810 XXL 3D In-Line Advanced X-ray Inspection System (AXI) was awarded a 2013 Global Technology Award in the category of Best Product - Asia, at the New Munich Trade Fair Centre in Munich, Germany during Productronica. 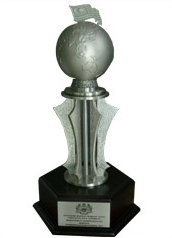 ViTrox has won this prestigious international award consecutively 3 years in a row. ViTrox recently won the Prime Minister's Award for Employer Excellence (Private Sector) for the year of 2013 & under the category of `Kepatuhan Industri PKS'. 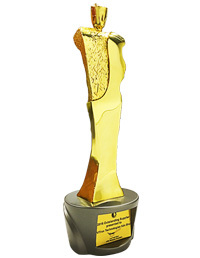 ViTrox was awarded Golden Eagle Award 2013 in the category of Eminent Eagle. This is organised by Nanyang Siang Pau, and the winners of Eminent Eagle Award were determined based on Corporates with annual sales turnover of RM 75 million and above for the last three financial years. 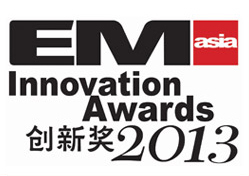 ViTrox Technologies, a solutions provider of innovative, advanced and cost-effective automated vision inspection systems and equipment for the semiconductor and electronics packaging industries, announces that it has been awarded a 2013 EM Asia Innovation Award in the category of Test & Measurement / Inspection Systems – AXI for its V810 X-ray inspection system. 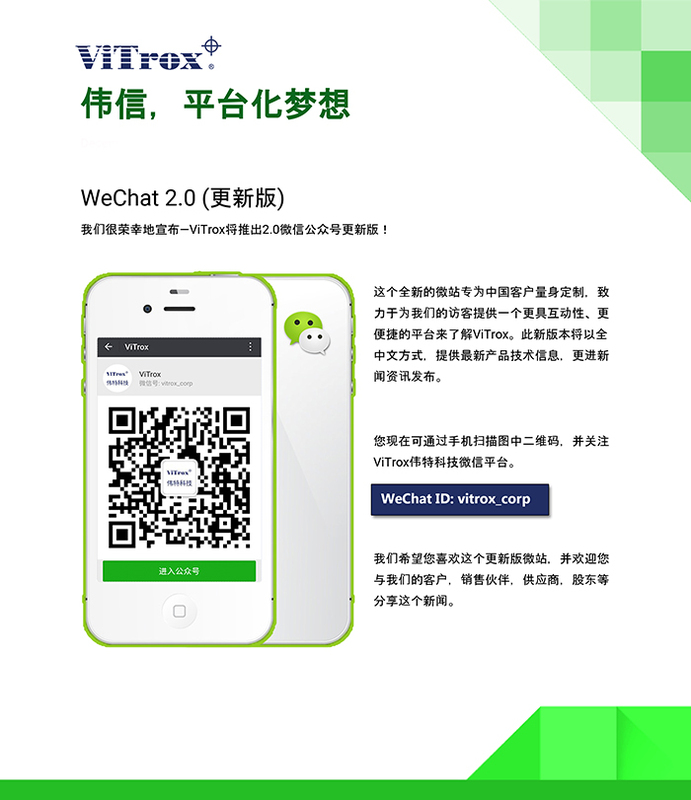 The award was presented to the company during an April 24, 2013 ceremony in Shanghai during NEPCON China. 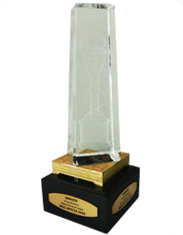 ViTrox has successfully swept 2 major awards for The Industry Excellence Award 2011, held in Kuala Lumpur, Malaysia on 24th October 2012. 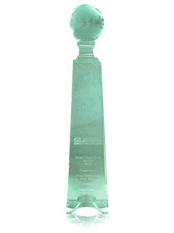 ViTrox has been awarded the Global Technology Award 2012 in the category of Inspection Equipment - X-ray for its V810 In-line 3D Automated X-ray Inspection System (AXI). 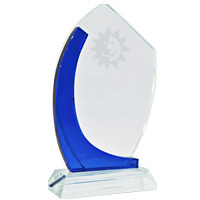 The award was presented to ViTrox during Tuesday, October 16, 2012 ceremony that took place at the Walt Disney World Dolphin Hotel in Orlando, FL during SMTA International 2012. 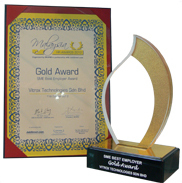 ViTrox was granted the Malaysia HR Award 2012 Gold Award in the category of SME Best Employer Award. 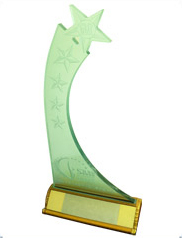 This award is organized by the Malaysian Institute of Human Resource (MIHRM) and jointly presented by JobStreet.com, in order to acknowledge companies and people who have taken HR strategy to the next level in their organizations. 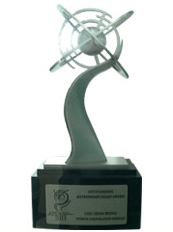 ViTrox has been granted the SME Innovation Award 2012 under the category of 1-InnoCERT: ICT & Software Development. This award is organized by SME Corporation Malaysia and in collaboration with MIGHT (Malaysian Industry-Government Group for High Technology). 1-InnoCERT is a certification programme used to recognise and certify innovative enterprises & SMEs and to encourage entrepreneurs to venture into high technology and innovation-driven industries. 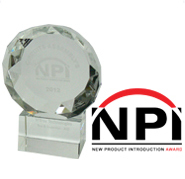 ViTrox was awarded the 2012 NPI Award from Circuits Assembly magazine in the category of Test & Inspection - AXI for its V810 In-Line 3D Automated X-Ray Inspection System (AXI). 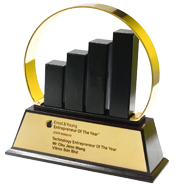 ViTrox's Managing Director / Vice President / CEO, Mr. Chu Jenn Weng won the Ernst & Young under the Technology Entrepreneur of The Year 2011 category award. ViTrox's Managing Director / Vice President / CEO, Mr. Chu Jenn Weng was awarded the Asia Pacific Entrepreneurship Award ( APEA). 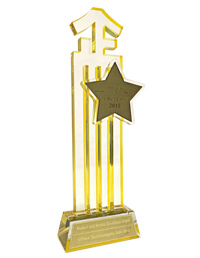 Mr Chu was awarded under the 'Outstanding Entrepreneur Award Category. 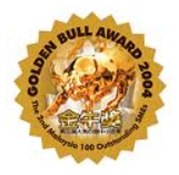 Acknowledged as the most prestigious and representative annual business award, the Golden Bull Award honors the best of SMEs in Malaysia by giving them due recognition for their hard-earned success and outstanding achievements. Organised by Nanyang Siang Pau, the Award aims to provide an effective platform to benchmark successful SMEs and to inspire more SMEs to strive for excellence and accomplishment. 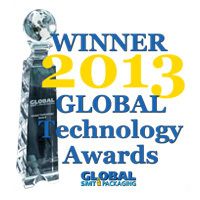 Since 2005, the GLOBAL Technology Awards have been bringing together the global SMT and advanced packaging industry in a celebration of the companies and people that are achieving the highest standards and driving our industry forward. The awards are designed to promote best practice in key areas including manufacturing quality, customer service, sales growth, innovation and employee motivation. 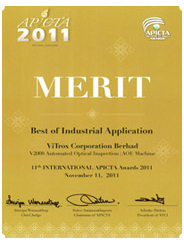 ViTrox has won the Best of Industrial Applications for MSC Malaysia APICTA Awards 2011 for the product: V2000 Automatic. 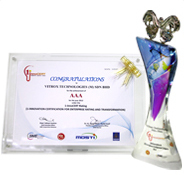 ViTrox represented Malaysia in the International stage held at Pattaya on 9th November 2011 and won the Merit Award under the ' Best of Industrial Applications' category. 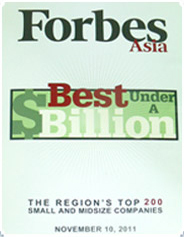 ViTrox has been selected as one of the best company in Asia under the 2011 Forbes Asia's 200 Best Under a Billion List. The Forbes Asia's 200 Best Under a Billion List consists of 200 top performing companies in Asia that shows strong earning growth, sales growth and return of equity in the past 12 months and over 3 years. 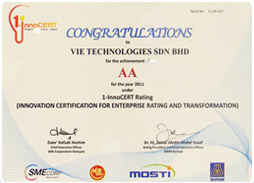 ViE Technologies (Subsidiary of ViTrox Group) won the 1-Innocert Certification which criterias includes 'Technology Innovation Ability', 'Technology Commercialization Ability','Techology Innovation Management Ability' and 'Technology Innovation Results'. 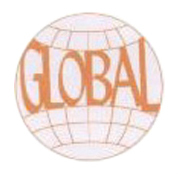 This award is awarded to the company which supports the government's aim to train employees in terms of knowledge and skills towards globalization. 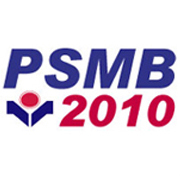 "ViTrox was awarded the Human Resource Minister Awards 2010 under the category of small and medium-sized employers, manufacturing sectors which organized by Pembangunan Sumber Manusia Berhad." 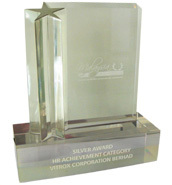 "ViTrox was awarded the Silver Recognition at the Malaysia HR Awards 08-09 which covers the HR Development Strategy, Best Practises in HR, Continous Learning and Training, Application of HR System and Technology and Recognition of HR as Strategic Resource in the growth of organization"
"The Golden Bull Hall of Fame recognizes the Golden Bull Award's past winners who have succeeded in listing on the Stock Exchange from local and abroad after winning the Award in previous years." 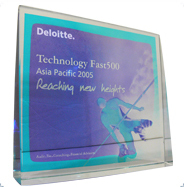 "The Top 100 KPMG Shareholder Value Awards ranking is based on the highest economic profit/invested capital amongst all the listed companies in Malaysia "
"Deloitte's Technology Fast 500 Asia Pacific is a program that recognizes and profiles fast-growing technology companies. The program, ranks the top 500 companies, public or private, based on percentage revenue growth over three years (prior to June 2004)." 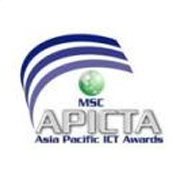 "The MSC-Asia Pacific ICT Awards (MSC-APICTA), provides a platform to stimulate creativity, innovation and excellence in ICT in Malaysia, benchmark Malaysian ICT products and solutions, and to recognise outstanding achievements in ICT, of students, technopreneurs, SMEs and organisations with operations in Malaysia! 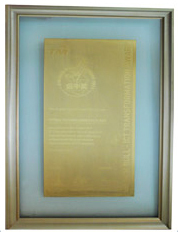 ViTrox has been bestowed the MSC-APICTA Award 2005 in the Industrial Applications Category for its product [5-Sided Pad & Package Vision]." "This award recognises the achievements of Malaysia's enterprising homegrown companies which are well positioned for the future. 50 winners are selected from amongst the nominations received, and the evaluation is based on the company's management and financial performance!" 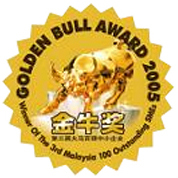 "Golden Bull Award is an annual event dedicated to give due recognition to the outstanding achievements of the Malaysian SMEs and create higher visibility for their success"
The TOYM programme seeks to accord recognition to young Malaysian between the ages of 18 and 40, whose dedication to their profession or life undertakings has resulted in exceptional achievement, in the form of significant contributions to the progress or welfare of the community at large and to the advancement of their respective fields of endeavour. 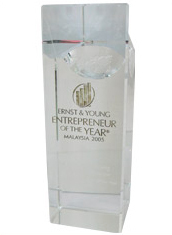 The Ernst & Young Entrepreneur Of The Year® Award Programme, founded and produced by Ernst & Young, which identifies and recognizes the achievements of outstanding entrepreneurs who have established and grown successful companies. The programme celebrates entrepreneurial success and recognizes the benefits that entrepreneurs and their entrepreneurial spirit bring to the economy in terms of job creation and enhancing its competitiveness and profile. 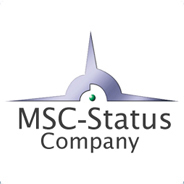 "MSC-status is the recognition by the Malaysian Government through MDC for companies that participate and undertake its ICT activities in the MSC." "ViTrox has represented Malaysia to participate in APICTA 2004 Award hosted in Hong Kong after winning the Prime Minister's Best of the Best Award. ViTrox has been bestowed the APICTA 2004 Award (Hong Kong) in the Industrial Applications Category for its product of 3D Lead Vision Inspection System (Vs3DLi)." 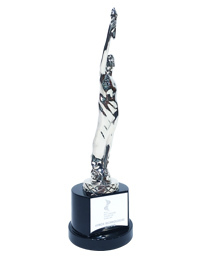 "The MSC-Asia Pacific ICT Awards (MSC-APICTA), provides a platform to stimulate creativity, innovation and excellence in ICT in Malaysia, benchmark Malaysian ICT products and solutions, and to recognise outstanding achievements in ICT, of students, technopreneurs, SMEs and organisations with operations in Malaysia!" "This award recognises the achievements of Malaysia's enterprising homegrown companies which are well positioned for the future. 50 winners are selected from amongst the nominations received, and the evaluation is based on the companies' management and financial performance!" 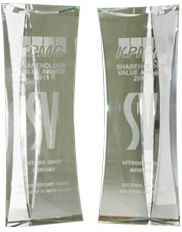 "The SMI Best Overall Award 2004 is bestowed on SMIs which excel in all areas of their corporate performances." 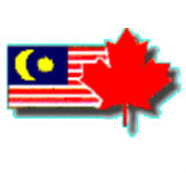 "The Malaysia Canada Business Excellence Awards 2004 are designed to recognize achievements and contributions of successful businesses or individual. The Young Most Promising Entrepreneur Award is dedicated to successful business enterprise, which has an entrepreneur who has demonstrated promising results over the past year." 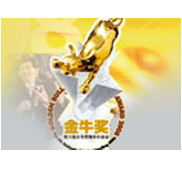 "The Golden RIM award was organized by the Chinese Enterprise Development Association of Taiwan. 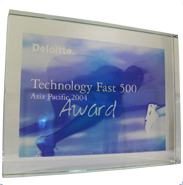 ViTrox Technologies has managed to win the privileged award out of 400 enterprises."